A couple of weeks ago, I spent a few days in Winchester. It’s a city with several affiliated historical residents, such as King Arthur, William II and Jane Austen, the latter two I encountered the graves of. But there was a name I came away with instead: Anne Tyler. She’s more associated with Baltimore, where all her books are set. On the first day there, I stumbled into her books in a bookshop and was oddly captivated by the covers. I put her on my tertiary list: will buy one day. In the pub the next evening, the people on the table next to me started a conversation about Anne Tyler. The following day, a woman was reading Vinegar Girl over her breakfast. I know when the universe is talking to me, so I went back to the bookshop and selected one at random. The Beginner’s Goodbye introduces us to Aaron Woolcott, an editor who has recently lost his wife Dorothy in a freak accident involving an oak tree and their sunporch. 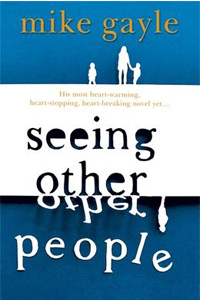 Hampered by grief and not quite sure what he’s meant to do with his life now, he moves in with his sister, Nandina, and ignores the damage to his house and his heart. Eventually, after Nandina nags at him, he hires a contractor to start rebuilding the house, and soon things are moving on. At his publishing house, Aaron’s team are working on adding to their Beginner’s series; a set of books that deal with an introduction to any topic you can imagine, from The Beginner’s Wine Guide to The Beginner’s Kitchen Remodelling. As they seek out more ideas, Dorothy begins to reappear to Aaron, and he starts to wonder if there shouldn’t be a book on how to get over a spouse. Aaron and Dorothy’s relationship is also fascinating. They’re both intelligent and independent people, who marry after a quick courtship despite seeming to have very little in common and then continuing their lives as if they were both single, rarely displaying affection. Aaron doesn’t like being mollycoddled, and Dorothy, a radiologist, has no intention of doing so. Their marriage is a happy one, though, if not perhaps completely healthy. But then again, I’m single, so what do I know? Whether Dorothy is really coming back to see Aaron or if it’s all in his head is never quite explained, but I know which interpretation I prefer. I’m also particularly fond of the scenes set in Aaron’s offices. The staff form a strange little family but they’re all oddly familiar. In some ways they’re cliches – the fussy secretary, the beautiful colleague, the solid family man – but Tyler writes with great economy and I feel we get to know them quite intimately with just a few words. It’s clear that the stuff they publish is hardly going to change the world – they’re mostly a vanity – “private” – publishing house, but it’s great that they still feel they want to help old soldiers get their memoirs out there, even though they’re identical to every other military memoir on the shelves. Honest and sometimes brutal, I think it served as a good introduction to Anne Tyler. I’ll be back.